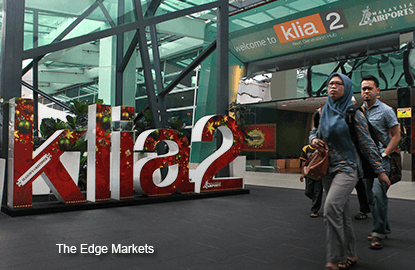 KUALA LUMPUR (Sept 14): [email protected], the main operator of the klia2 car park, is lowering its car parking rates to benefit those who plan to park at the low-cost carrier terminal for more than three days. In a statement today, [email protected], a joint venture between WCT Holdings Bhd and Malaysia Airports Holdings Bhd, said the revised parking rates structure will be applicable for overnight parking after three days and the sixth hour onwards, where only RM20 will be charged per day after the initial RM46 per day for the first three days. Parking at [email protected] for a week or seven days now costs only RM218, compared with RM322 before the revision, it added. “We are making it more cost effective and convenient for travelers who plan to be away for more than three days,” [email protected]'s centre manager Tian Keng Swee said in the statement. “With this revision, more travellers will have an option to park and fly with peace of mind; knowing that their vehicle will be safe and secured,” he added. [email protected] has an eight-storey car park that can accommodate more than 5,600 vehicles and is fully-gated with 24-hour security, which is easily accessible to the airport-concept mall at klia2.